SOLD SOLD SOLD SOLD . THIS HORSE IS NOW WINNING GLOBAL TOURS AND COMPETING 1.60M WORLD RANKING CLASSES. 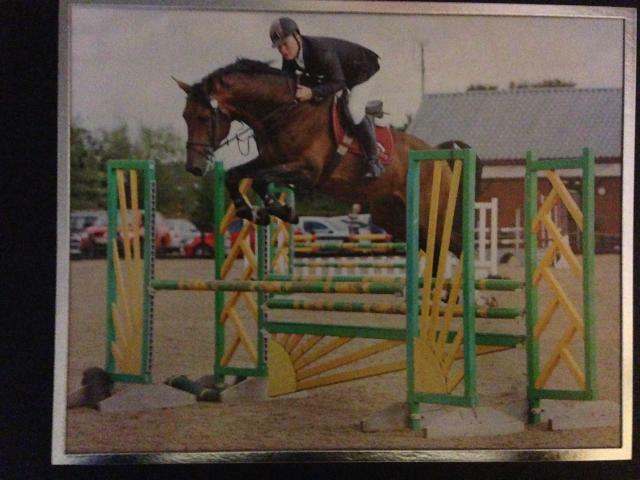 If you are looking for a horse with really top class Grand Prix potential Excelibur is that horse. 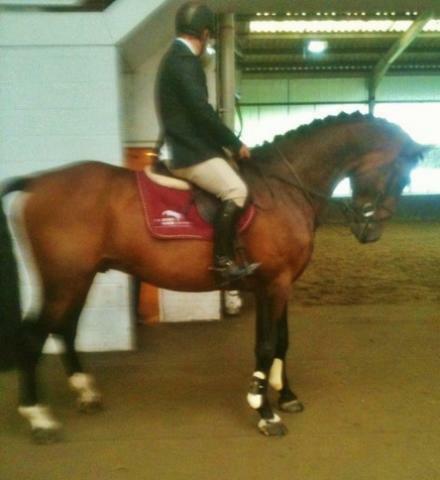 Homebred 17.1 hands bay stallion 2009 from the very best motherline in the World . 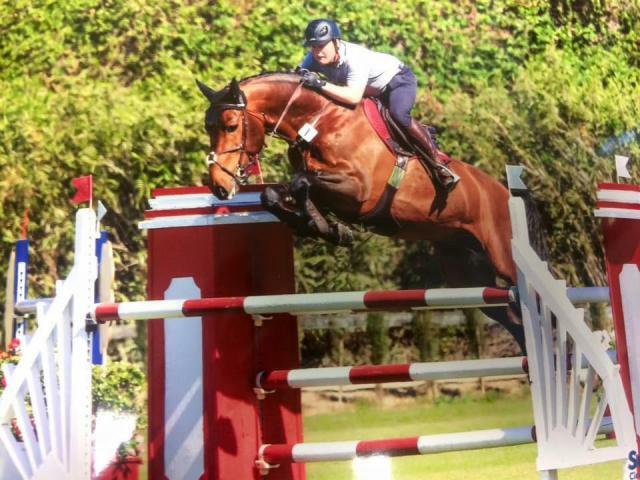 Dam Polette has alrerady produced top showjumpers, grand dam Colette jumped Internationally, gt granddam SORAYA is the foundation mare for the VDL Stud. Dam Polette is one of the only mares from this line outside of Holland. This line ,descending from Ladykiller, has bred numerous International showjumpers and KWPN Approved stallions.He is also AES BREEDERS ELITE APPROVED STALLION.He has three amazing powerful athletic paces and a fantastic supple and careful jump and is showing massive potential. 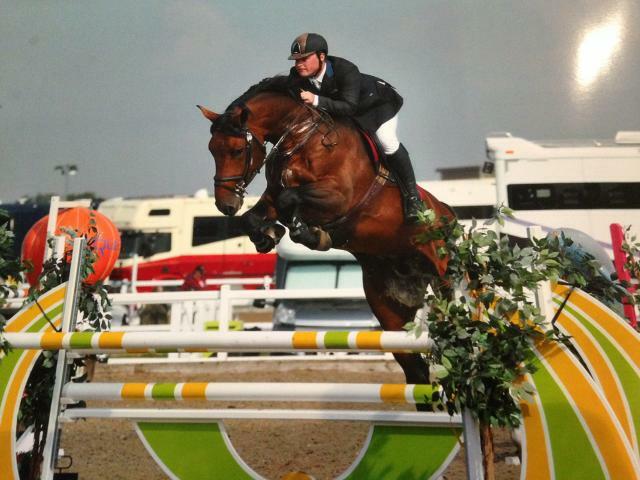 From the direct motherline of OLYMPIC and WEG showjumper BUBALOU ( Jur Vrieling) He has been very carefully professionally produced, Jumping double clear newcomers, foxhunter and grade c and qualified for the BSJA National 6 year old Championship. He is a big powerful young horse with a super kind and willing temperament, very easy to manage and has obvious breeding potential himself .He has superb conformation and totally clean xrays. Has also competed successfully dressage.He is KWPN registered and is by the top young KWPN STALLION vermont (carolus x Corland) bringing you also the fantastic mare Pracht -s and descending from Capitol I. 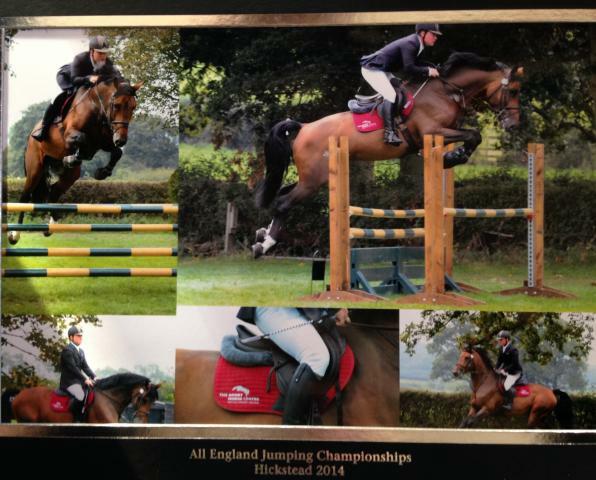 This is a rare opportunity to purchase a future GRAND PRIX horse who is already competing and winning Internationally young horses classes absolutely top class horse of a type rarely found in the UK. This horse has just completed the CSI *** Vejer Sunshine Tour where he consistently over four weeks jumped double clear after double clear in the 7 yr old cLasses being equal 1st on four occassions and being OUTRIGHT WINNER OF THE 1.40m 7 YR OLD CLASS PLUS 4TH 6TH AND MANY MANY PLACING INCLUDING JUMPING HIS FIRST WORLD RANKING CLASS (1.45M) This is a definite GRAND PRIX PROSPECT with terrific scope and rideability. 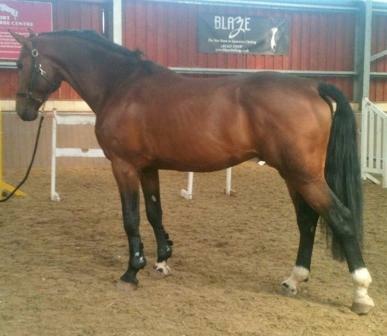 He is also a fully approved stallion in the UK with a super easy temperament from the best bloodline in the world. Genuine enquiries only please, as this is potentially a world class horse. SOLD SOLD SOLD SOLD NOW WINNING GRAND PRIX AND COMPETING NOW 1.60M WORLD RANKING CLASSES AT ONLY 8 YEARS!! !